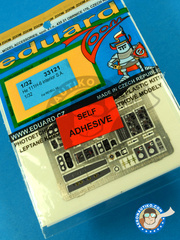 Once again, Eduard makes our day with this coloured photoetch set including all the dials, contols and dashboards to enhance the interior of the He 111 kit in 1/32 scale from Revell. 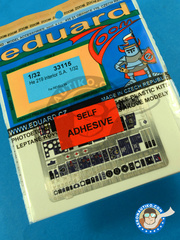 A must-have photoetch for your kit. 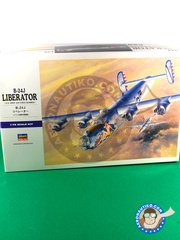 Complete coloured photoetch set, including all the dials and dashboard for the cockpit of the He 219 in 1/32 from Revell, one of the most beautiful planes flying in the Germany of the Great War. 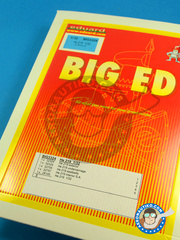 This set includes nothing less than 3 photoetch sheets, one of them even in full colour, specificaly designed for the Revell/Monogram kits. 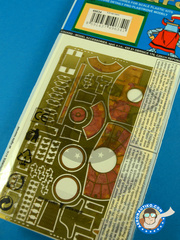 Under this reference, Eduard delights us once again with a gorgeous coloured photoetch sheet with all dials and controls, and a second sheet for the inner structures of the tail, for the Revell/Monogram kit. 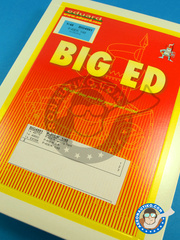 Finally, here are the photoetched seatbelts in full colour for enhancing the looks of the B-24J Revell/Monogram kit. 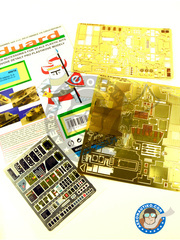 The black and beautifully crafted Eduard box includes a complete set for replacing and enhancing the Revell/Monogram kit. 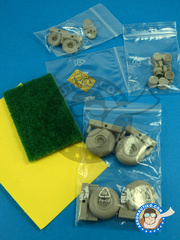 In addition to the wheels, in fine and gorgeous grey resin, it includes the masks to paint the axle and a small photoetch set. 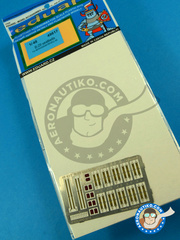 You will find in this package a gorgeous and thoroughly detailed reproduction of the F-16 turbine for the Tamiya kit. 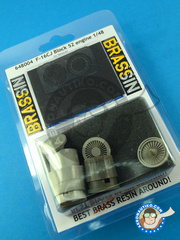 In addition to the resin parts, this set also includes a small photoetch to complete the assembly with a wealth of detail. This reference includes a complete coloured photoetch set with all the dials, controls and dashboards for replacing and enhancing the interior of the Skyraider from Trumpeter. 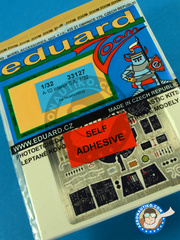 Don't doubt and use them... the interior of your kit will come to life! 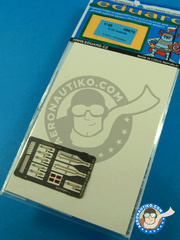 Package includes a full set of coloured photoetches to replace and enhance the interior of the senior Revell/Monogram kit, giving it a hiper realistic look by adding seatbelts to the pilot seats. 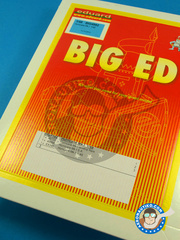 Package contains a full set of flap photoetches of the finest Eduard quality to replace the parts on Tamiya kit.